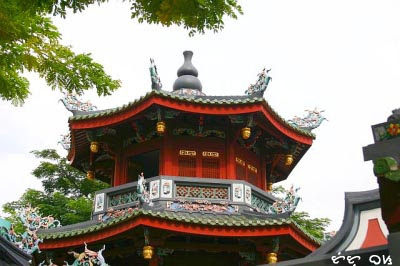 Singapore is one city so easy to tour with various options of guided tours and easy do-it-yourself tours for the more adventurous (or financially-challenged) individuals. 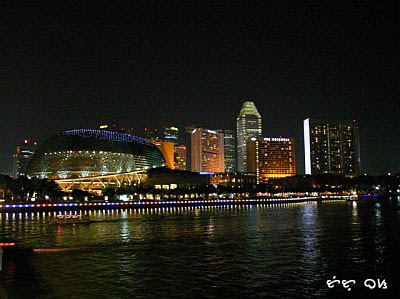 The Singapore skyline is picturesque and can be seen in breathtaking photos at night with brightly colored lights of buildings particularly those lining the bay. Problem only was that Tutubi has this chronic "dysfunctional motor system syndrome" made him too lazy to lug along his sturdy tripod to take night photos of this modern metropolis. 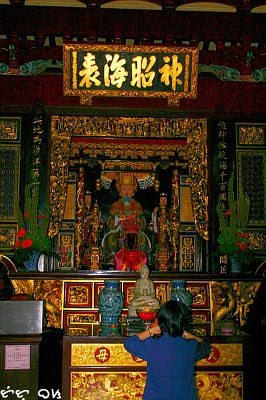 Thian Hock Keng Temple, the oldest Taoist temple dedicated to Matsu, the Taoist goddess of the sea; a smaller temple at the back is a Buddhist one dedicated to Kuan Yin. 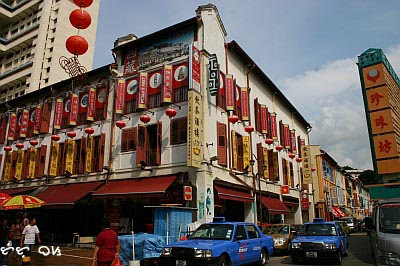 a visit to Chinatown, with it's pastel-colored victorian inspired houses with chinese merchants. 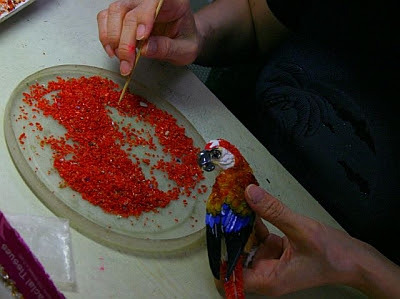 (Warning by the tour guide: be careful since some merchants take advantage of tourists. After looking around and finding out most goods are too pricey, just walk up to the end of the street taking pictures of shops, buildings, and an Indian temple-- the Sri Mariamman temple. Leaving Chinatown, next stop's Mt. 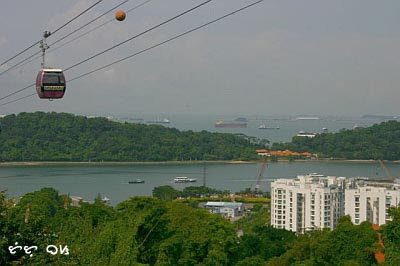 Faber that offers a breathtaking view of Sentosa Island; can be reached via a cable car. 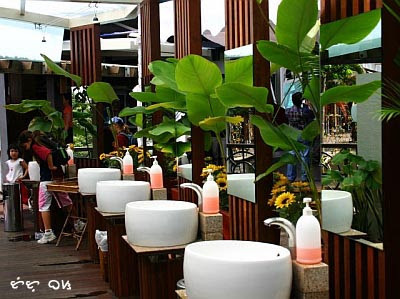 Such a nice toilet/washroom/CR/water closet they have! After the tour, Tutubi asked to be dropped in front of Funan Digitalife Mall, instead of the hotel, to ask for the price of a nifty fifty lens (Canon 50mm f1.8 II). Funan Digitalife Mall is reputed to be friendlier than full-of-tourist-traps and rude shopkeepers Sim Lim Square where Tutubi went to earlier where he was treated rudely for asking the price of the same lens two days before. 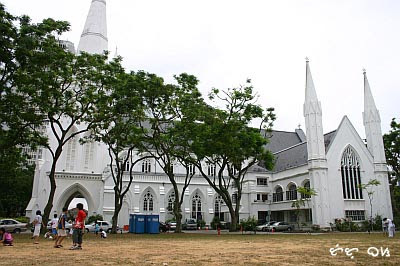 From Funan, Tutubi walked quite a distance again towards St. Andrew Cathedral, the Cricket Club, Capitol Building and other landmarks before the durian-looking, but not durian-smelling, Esplanade Mall. 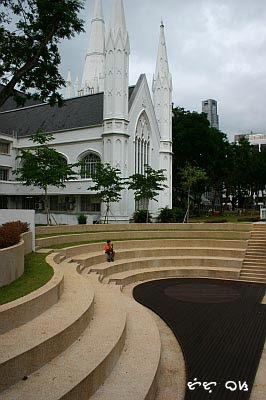 St Andrew Cathedral, with Filipino markers, and with children catching tutubi (dragonflies) unmindful that a Tutubi is taking their picture to document the "massacre." 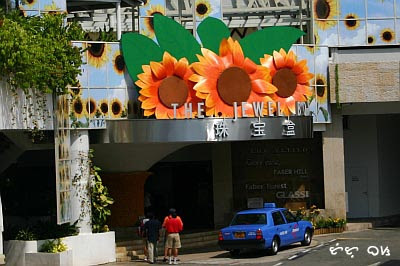 I enjoyed this post a lot and I felt as if I was there in Singapore myself! So ayun, friends na tayo? Singapore is a pretty place. I would like to work there. Ha ha ha! Ayos sa comment re tutubi massacre, ah! Because of this post namimiss ko na uli ang singapore. I have been to singapore 5x pero gustong gusto ko uli bumalik. Great pix! so how much was the Canon lens, btw? Some things never change, eh? There is still lots of rudeness with Singapore vendors. I was a regular visitor to Singapore and Hongkong for training in the 90s and the rudeness of the vendors there are a major turn-off. Sabi nga ng iba, kung hindi ka bibili, hwag ka na lang magtanong. Haaay. i have been wanting to visit singapore.. and if possible, to work there as well. sana magkaroon ako ng chance. great photos! parang nakapunta narin ako sa singapore sa entry mo. saya talaga ng diy tour no? salamat din pala sa warning tungkol sa mga rude shopkeepers. Great photos! Especially like the Singapore skyline at night...tried that from the roofdeck of the Esplanade but since I didnt have a tripod and my camera didnt have IS--my shot came out like an impressionist painting..haay! As usual, great photos. You need not say much, just looking at them tells a story already. Thanks for sharing those awesome photos. 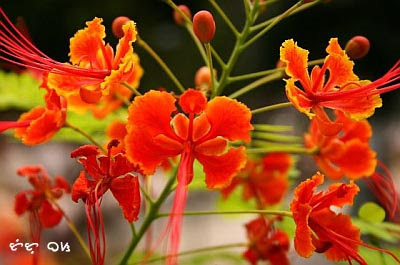 Love your article, I feel like I've been in Singapore with your pics. i always wanna travel but don't have the money to sustain my dreams as of the moment. Singapore is a nice place to work and live in, minus the fact that the cost of living is enormous. 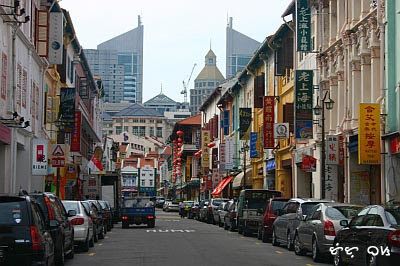 Singapore care a lot for its people, they provide good quality of life. 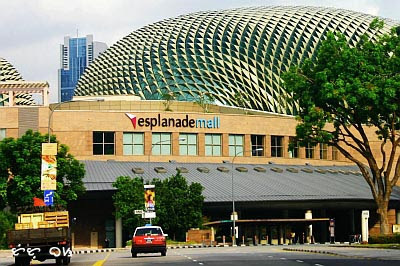 hi im going to singapore this july..is it safe there for tourist?will be just doing our own tour since we are "financially challeged"
High Adventure Equipment manufacture trekking equipment and outdoor camping gear, which are needed, and helps you to accomplish your task in the mountain terrain at inhospitable surroundings. I want to work in SIngapore. if there somebody please help me to find job. Im here in Philippines..